It’s time for our annual Halloween Contest for 2016! 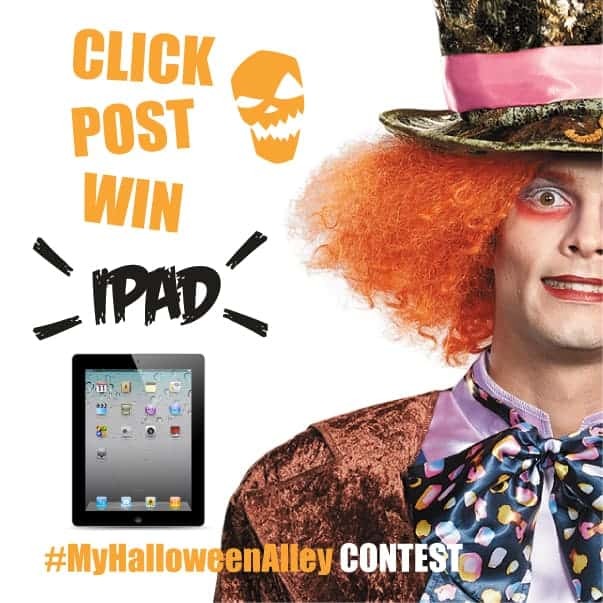 One lucky Halloweener will win an iPad with #MyHalloweenAlley. And two others will win some Cineplex entertainment! Checking out one of our stores? Picked up a costume? Share a photo each time to increase your chances of winning! The winners will be announced on Monday, November 7th, so stay connected for the results! Contest valid for residents of Canada only. Please see full contest details here. Good luck to all of our participants. We can’t wait to see your best photos!